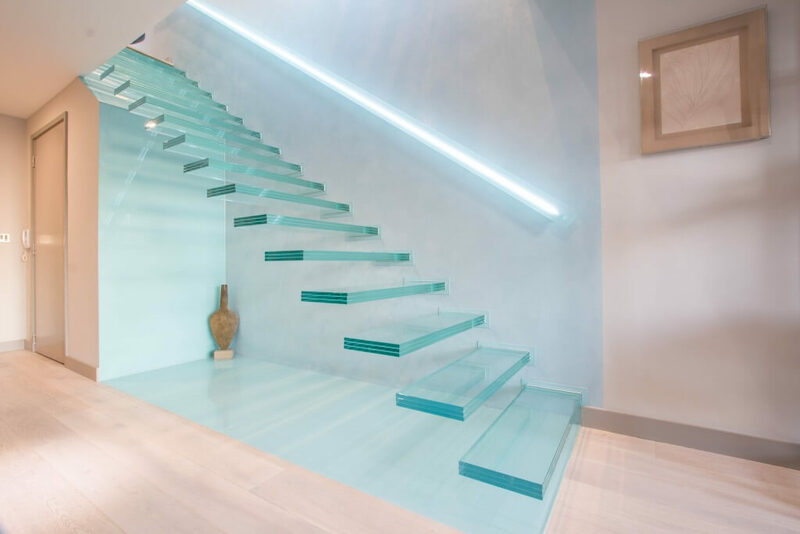 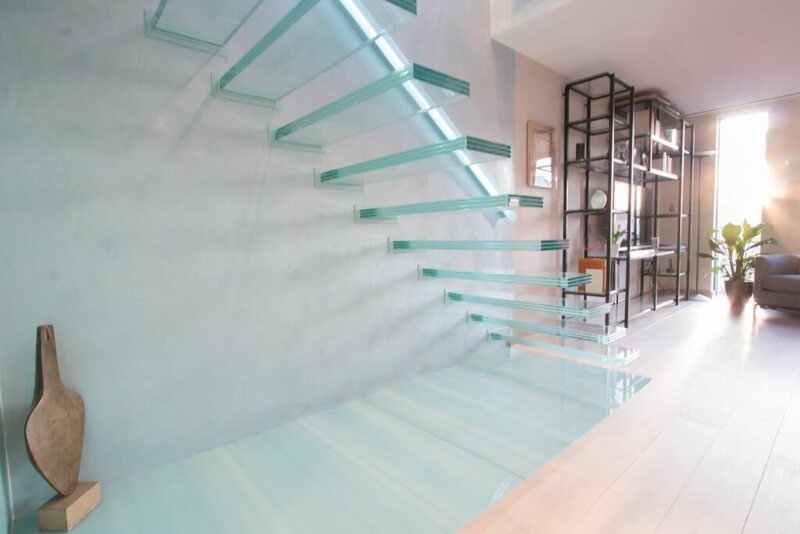 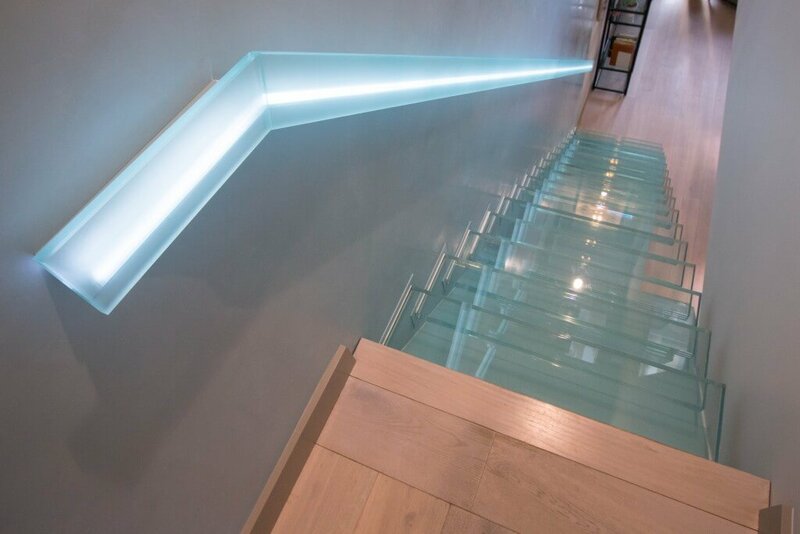 This Floating cantilevered glass construction treads staircase with LED-glass handrail is a piece of art in client’s home! 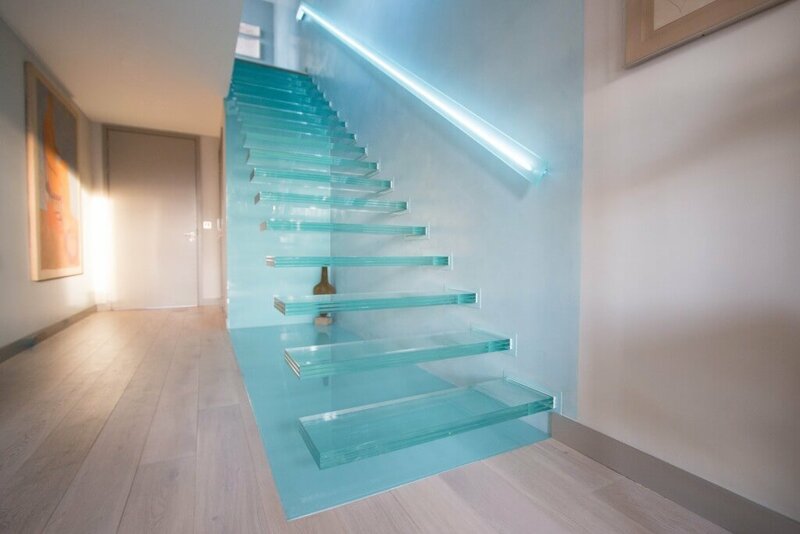 We are very proud of this project taking under concideration obviouse challenges we have faced in a process of fabrication. 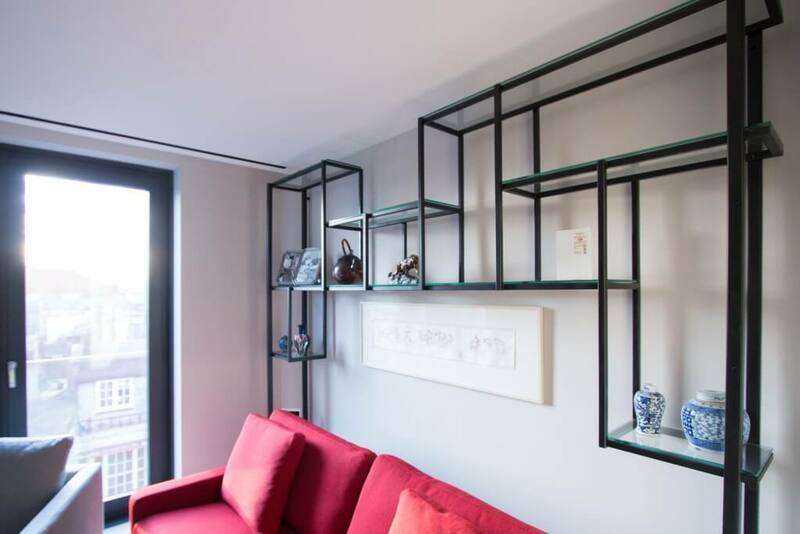 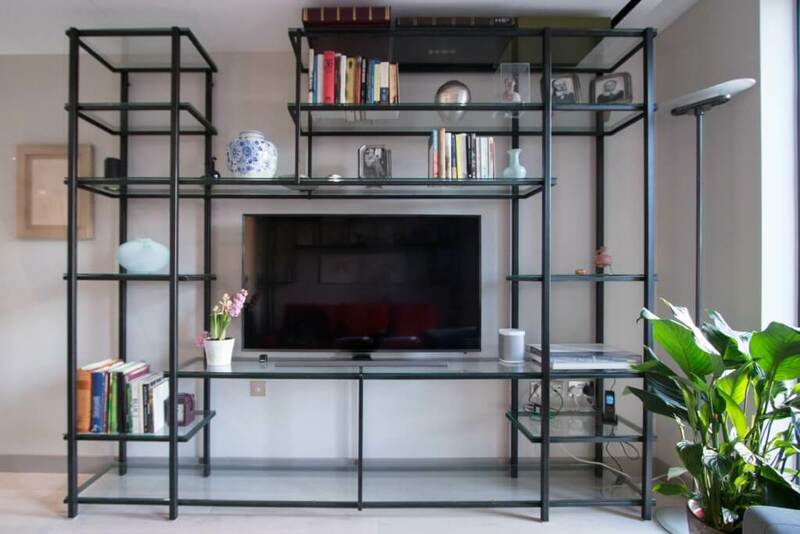 Also we have added metal construction shelving unit with glass panels which perfectly matches with the staircase and home decor.